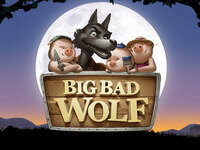 Big Bad Wolf is a “The Three Little Pigs” fable themed virtual slot machine made by QuickSpin. It is an online 5-reel slot that includes story characters symbols: Fifer Pig, Fiddler Pig, Practical Pig and the Big Bad Wolf. 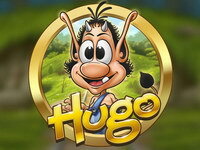 The story begins with the title characters being sent out into the world by their mother, to “seek out their fortune”. The first little pig builds a house of straw, but a wolf blows it down and devours him. The second little pig builds a house of sticks, which the wolf also blows down, and the third little pig is also devoured. 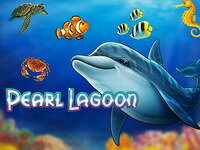 Enjoy the high-end graphics and the exciting Free Spins bonus in the award winning top performing slot. 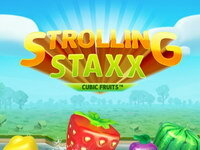 Blowing Down the House Free Spins. Watch the Wolf catch the Pigs and blowing down their houses in the Free Spins bonus. 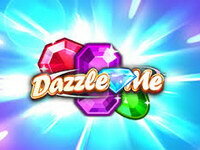 Collect moon symbols on the last reel for extra Free Spins and the chance for a x2 multiplier. Pigs turn wild is also active during Free Spins. Pigs Turn Wild. All winning rounds count with the Pigs Turn Wild featured combined with the Swooping Reels. For every second Swoop one of the Three Pig symbols will turn into a Wild symbol. 6 consecutive Swoops will result in all three Pigs as wilds.